We are no strangers to slime, ooze, goop, playdoughs...you name it and it's probably permanently ingrained into our grout. Still, there was something so mesmerizing to Ethan about this sea slime that he hasn't stopped playing with it since we introduced it as part of our ocean tot school theme. 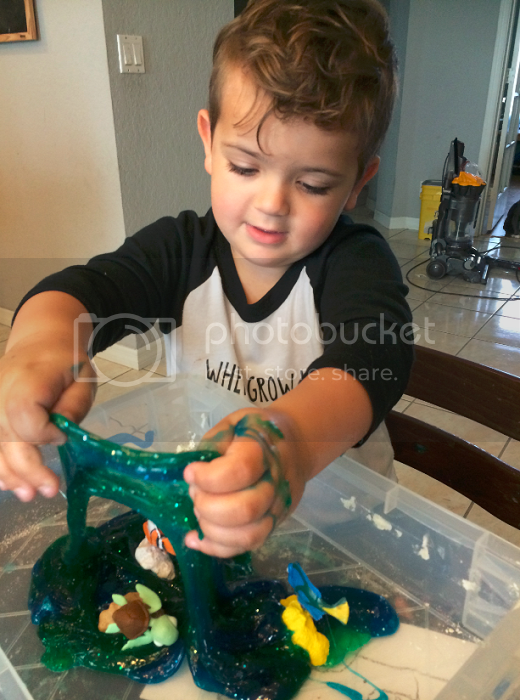 The first words out of his mouth every morning have been "can I play with my sea slime?" and I have to pry him away after a couple of hours of pure entertainment. I don't blame him -- the stuff is pretty cool. 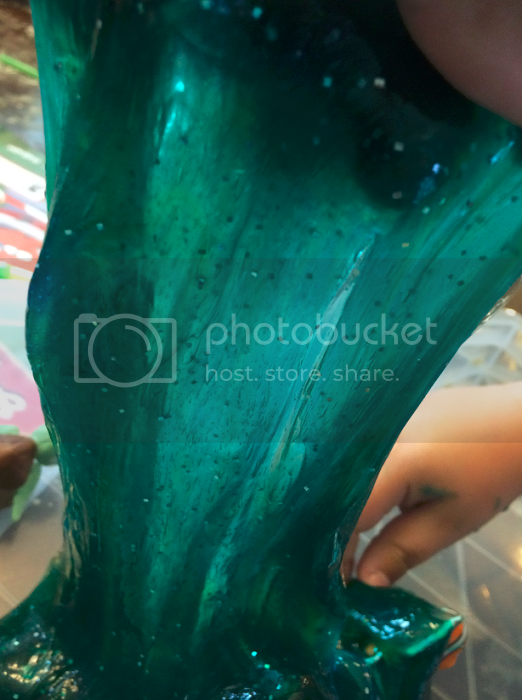 Using clear glue instead of the white school glue we typically use to make slime really made a world of difference in the look and feel of our sea slime. 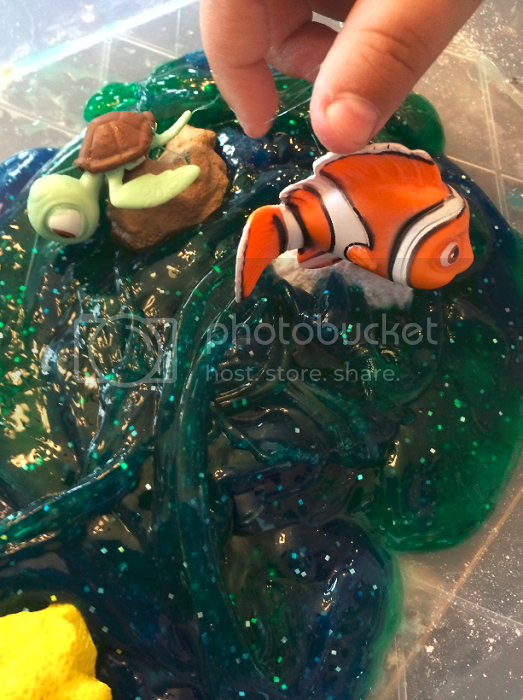 I introduced this activity as a clump of slime in a sensory bin with some fish and ocean creature figurines I found at the dollar store (I believe the bulk of them are from Finding Nemo). Ethan has enjoyed hours of uninterrupted free sea slime play and we've also used it as a great learning tool to discuss waves, the parts of a wave and ocean layers. 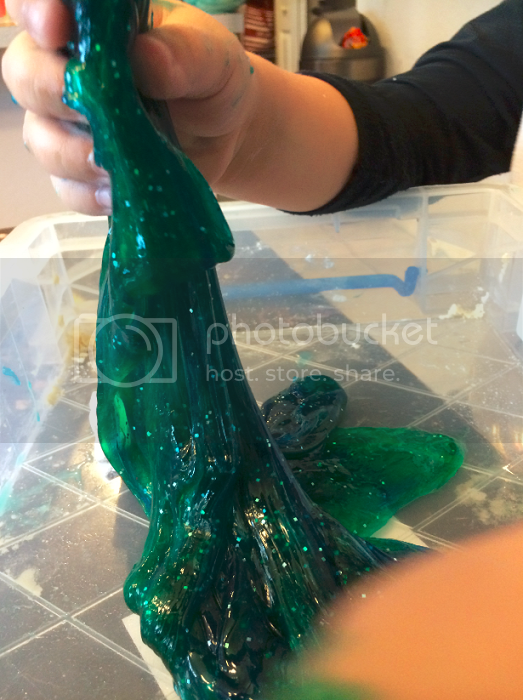 Sea slime is pretty easy to make. Add one bottle of clear school glue to a bowl, squeeze in a couple drops of food coloring, combine and then stir in a little less than 1/2c liquid starch. 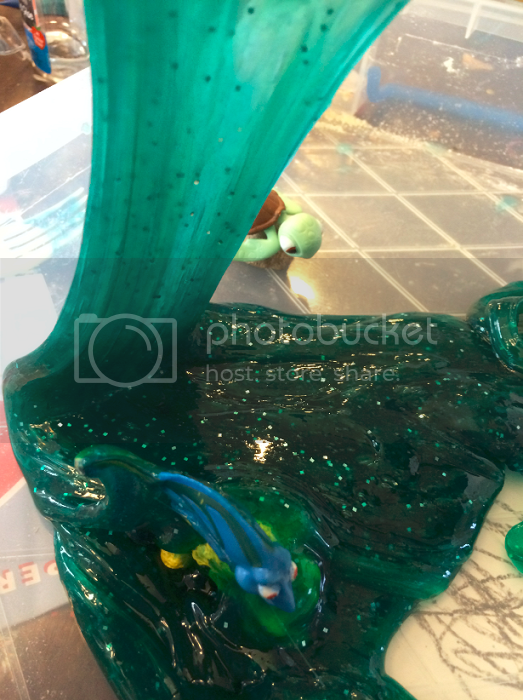 As you stir, your slime will start to form. Once it gets pretty clumpy, I like to pick it up and mash it around in my hands until it reaches the desired consistency (sometimes you have to squeeze out some of the excess moisture). 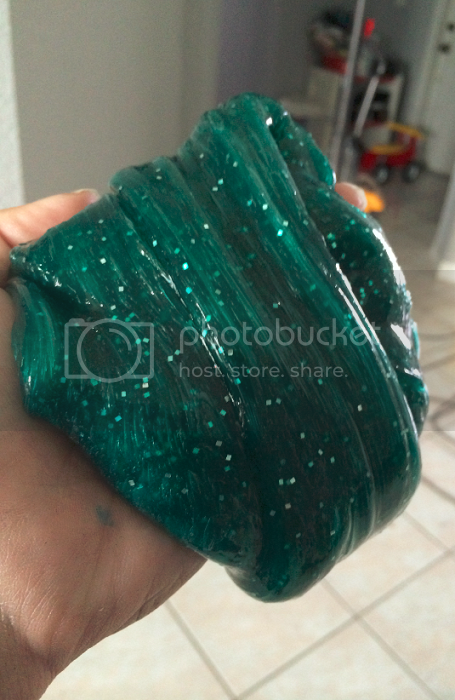 To make this particular shade of teal, I used one bottle of clear glue mixed with some silver glitter, a few drops of blue food coloring and then mixed in the liquid starch. I set that batch aside and made a second batch using green food coloring. Once both slimes were made, I just mashed them together until they combined to form a beautiful teal color. The green and blue highlights looked extra pretty in the light, too!